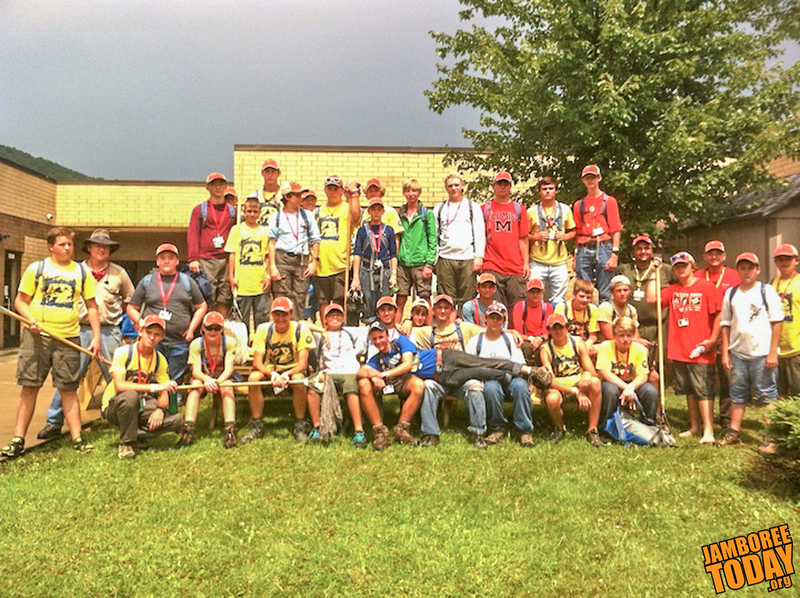 "Days at the Summit are long and fun-filled, but the weeks fly by," said Life Scout Ryann Syvertsen of Cincinnati, Ohio, about the 2013 National Scout Jamboree experience. The event was a huge success, if the experiences of Syvertsen's troop, B225, are representative. From the zip lines in the canopy, to scuba diving out at the Pools, the jamboree was packed with tons of activities that satisfied even the most extreme adrenaline seekers from the Buckeye State. Life Scout Nick Lecher spent most of his time mountain biking at the Summit Bechtel Reserve. His take: "Cha brah, I was like so stoked. Bruh, hittin' those gnarly trails. Stuff was prime." 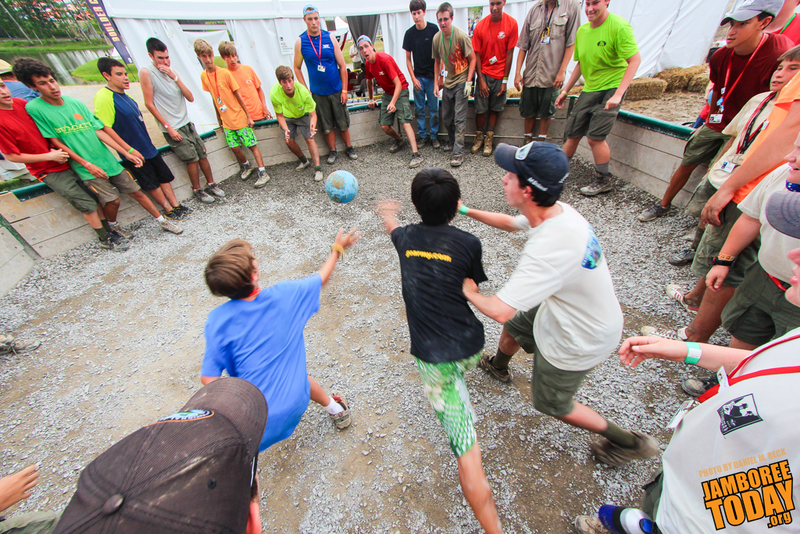 Troop C415 at the 2013 National Scout Jamboree went beyond their Messengers of Peace Day of Service project by helping to save from flood damage Cherry River Elementary School in Richwood, W. Va.
Scouts were building picnic tables, an outdoor learning space and a gravel walkway at the school when a two-hour, drenching downpour began to inundate the school building. "I was kinda nervous," Scout Kevin Henderson admitted as he waited in line to board a whitewater raft and paddle his way down the New River. "I came to jambo looking for fun and found it on the waves of the river," said Scout Lucas Vireday. 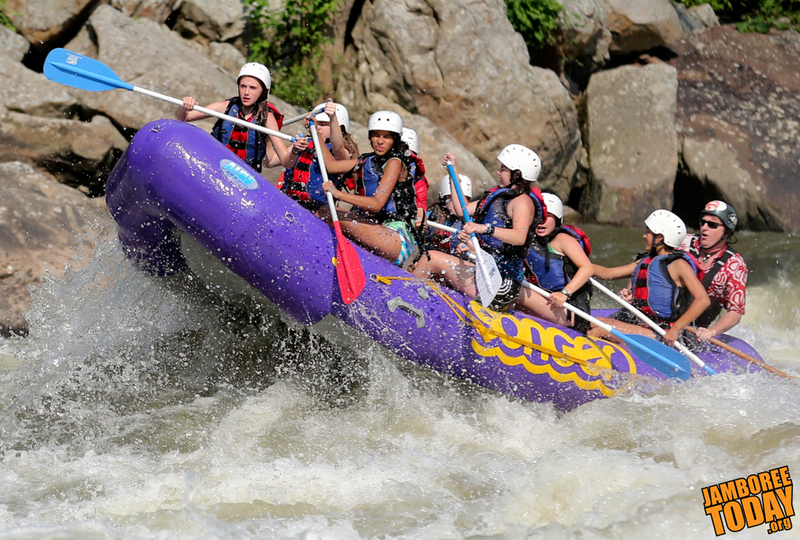 Riding a wave of fear was not supposed to be on the list of elements for a rafting ride down the New River. WASHINGTON, D.C. — Headdresses, ceremonial garb, and symbolic dances inspired by and saluting Native American cultures are common sights at Boy Scouts of America camps around the nation. Historically-inclined Scouts can also earn the Indian Lore merit badge. 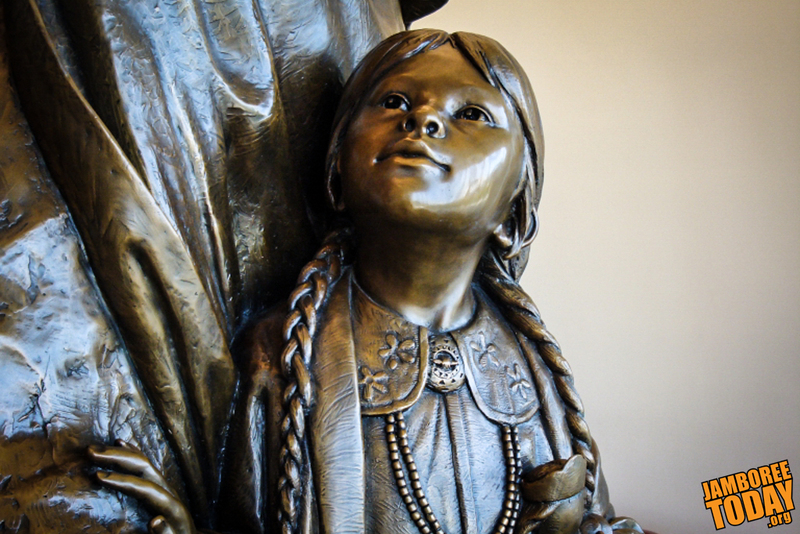 The BSA's reverence for Native American culture dates back decades. Any Scout or Scouter elected by his peers to the Order of the Arrow — the BSA's honor society — understands the mystery and richness of the culture that America's native peoples offer, says Kevin Gover, a Pawnee, who is director of the National Museum of the American Indian in Washington, D.C.